How to watch The Flaming Brothers (1987) on Netflix Taiwan! 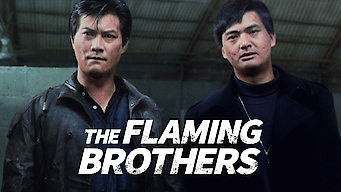 Yes, The Flaming Brothers is now available on Taiwanese Netflix. It arrived for online streaming on December 28, 2018. We'll keep checking Netflix Taiwan for The Flaming Brothers, and this page will be updated with any changes. Growing up on the streets, brothers Chang and Alan were inseparable. But now that they're adults, their lives have gone in different directions. In these brothers’ life of crime, there’s nothing quite like having a mutual enemy to strengthen those sibling bonds.